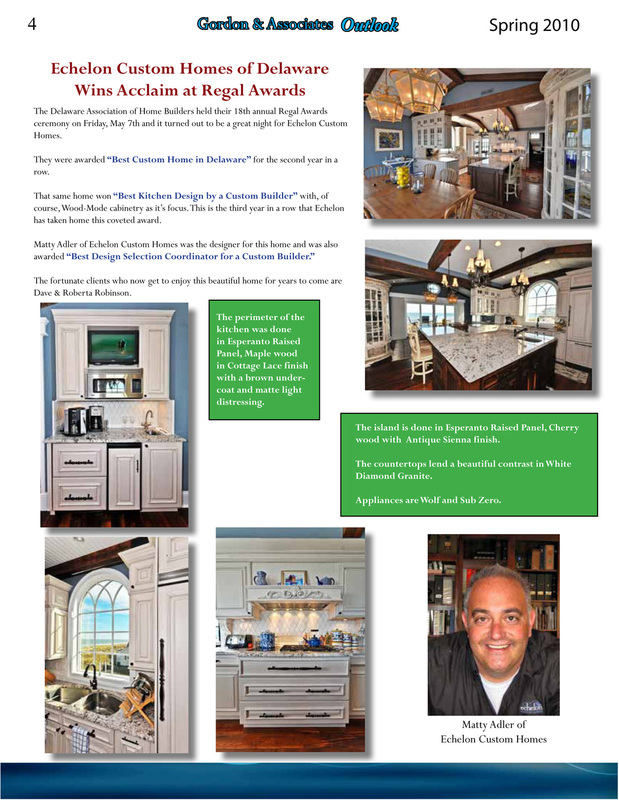 Echelon Custom Homes & designer Matt Adler featured in Gordon & Associates Outlook Spring 2010 issue. Posted at 7:33 am, filed under Awards, Press and tagged Echelon Custom Homes, Matt Adler, Woodmode. Bookmark the permalink. Follow any comments here with the RSS feed for this post. Post a comment or leave a trackback: Trackback URL.